“Custom” Builder, “Custom” Remodel – What does “custom” mean? 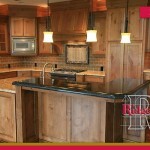 Many new home builders and remodel contractors throw the word “custom” around. Custom bathroom, custom kitchen, custom remodel – you can put “custom” in front of any home improvement project and make it sound fancy. But what does custom actually mean? Let’s face it – there is no governing body that determines whether a home builder or remodel contractor does custom work. It is up to you, the consumer, to really know the difference between a true custom new home or custom remodel project and a new home or remodel project that can be customized. It is the details that count! Take this custom kitchen refrigerator cabinet for example. This kitchen had cabinets too high for the home owner to reach. The solution was this strategically placed cabinet to store the step stool! A good custom builder knows there is no cookie cutter answer. They will take the time to find out how to make your space both beautiful and efficient. When starting a project we spend time with the home owner to get an idea of what they really want, and sometimes more importantly, what they really need. This custom bathroom remodel project not only made their bathroom more aesthetically pleasing, it also solved the daily counter clutter problem! From crawl space wine room! What started out as a barely usable crawl space became a truly custom remodel project. From idea to design to finished product Ridgecrest Homes worked with the home owner to create this in-home getaway. 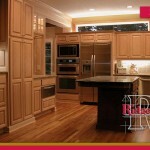 Do you have a custom remodel project in mind? Is a custom home build in your near future? It is never too early to start! 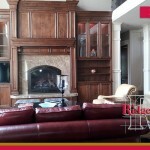 Call Ridgecrest Homes today and find out what makes us a true custom home builder and custom remodel contractor.